1957. What if Walt Disney wanted a time-travel ride for his recently opened Disneyland, a peek into a city of the future and what it might hold – a thrilling ride. What if he had an Imagineer he felt could come up with what that future might hold and how the ride might work? What if that Imagineer, not wanting to merely posit what the future might hold, figures out a way to travel to the future to see exactly what it might hold? 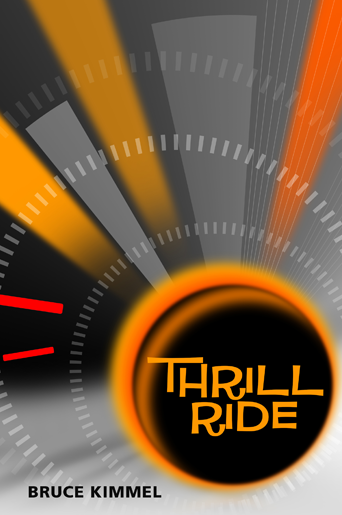 Thrill Ride takes the reader on exactly that journey, from the Los Angeles of 1957 sixty years into the far-off future of 2017. What our time traveler finds there, who he meets, and whether he can actually get back to his own time, well, that’s the tale. So, climb aboard and come along on a fanciful thrill ride filled with humor, suspense, and surprises. “Kimmel does it again! He takes us on an unbelievable thrill ride that’s so believable that you forget it’s just make believe. When it’s over, you not only appreciate what was in the past but you also appreciate all that we have now. Book will ship the end of April, most likely sooner.